The ‘Paseo Marítimo’ or in Catalan, ‘Passeig Marítim‘, refers to the wonderful promenade that runs parallel to Palma’s seafront. The wide avenue is made up of a pedestrianised walkway and a cycle lane, and is enjoyed by tourists and locals alike. 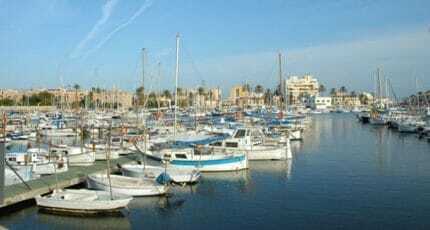 A walk along the Paseo Maritimo is always an uplifting experience. Palm trees line the way passed emblematic buildings and Palma’s yacht-filled harbour. The ever-changing view never gets boring, with pink sunrises and golden sunsets painting new masterpieces on the horizon each day. It’s possible to walk along the sea front from the military port near Porto Pi, all the way to the airport, should you wish. However, by Paseo Maritimo, we’re referring to the approximately 4km length from Porto Pi, up to the former fishing village of Portixol. It’s the section closest to the centre. During the day, people use it to stretch their muscles; and at night, they come here to dine and dance the night away. 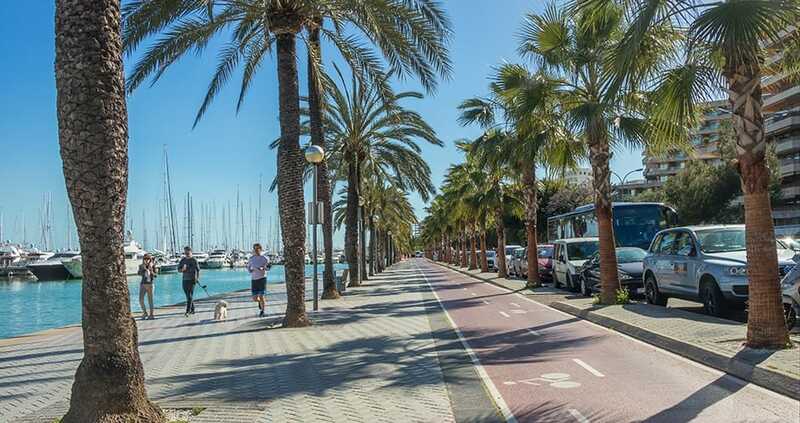 The official name of the promenade is ‘Avenida Gabriel Roca’, after the chief engineer of Palma’s port during 1940 and 1962. 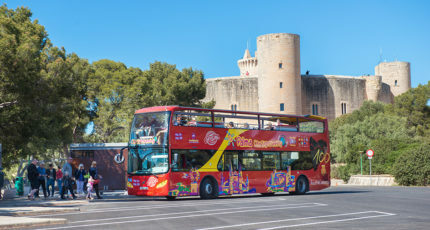 Roca provided the impulse behind the planning and creation of the paseo maritimo and presided over Mallorca’s tourism board for seven years. The Paseo Maritimo now passes the Cathedral ‘La Seu’, but it would have looked very different four decades ago. Originally the sea came right up to the walls around the Cathedral. In the 1970s, construction of a new road and boulevard pushed the sea back. To maintain the magic of a reflecting pool, city planners created an artificial sea water lake instead. The area is called Parc de la Mar and is on paseo maritimo’s scenic route. Concerts, al fresco cinema and artisan fairs are all staged here at different times throughout the year. From small fishing boats to luxurious superyachts, viewing the hundreds of vessels along Palma’s bay is a relaxing way to spend an afternoon. Every Spring, the port hosts the Palma Superyacht Show, showcasing yachts for sale and charter. 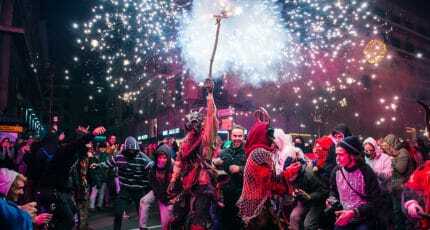 Starting from the Porto Pi end, you’ll pass the famous night club, Tito’s, which first opened in the 1920’s; Palma’s Auditorium which puts on a diverse programme of shows and concerts; and the trendy neighbourhood of Santa Catalina, which really comes alive in the evening. 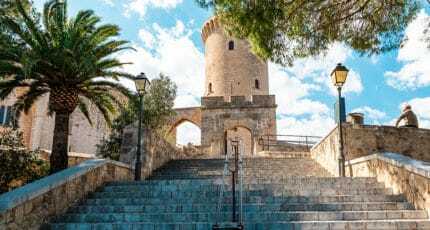 Keep your eyes peeled for the 16th century fortress wall around Es Baluard Contemporary Art Museum; and further on, catch a glimpse of Bellver Castle in the distance. After that, the Royal Palace of Almudaina will soon come into view, followed by the Cathedral, which looks as striking in the day as it does illuminated at night. It’s the perfect route for a relaxed stroll, cycle or roller blade. 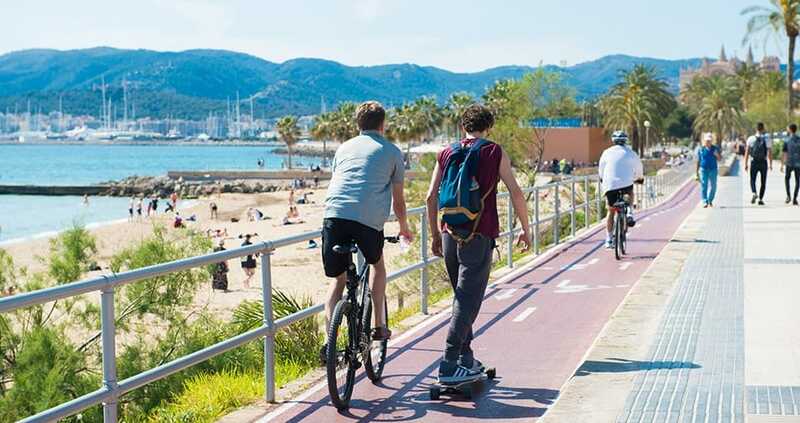 You can hire a bike in Palma from a number of rental stations, and roller blades from Roll&Roll skate shop in Avenida Argentina. Enjoy an ice cream or a cocktail along the way, or book a delicious sea food meal at one of the seafront restaurant. 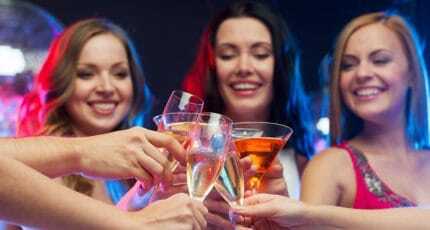 In the evening, things really liven up, as the music bars and nightclubs open their doors. 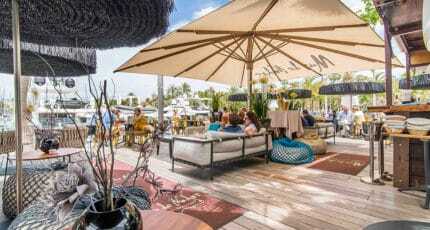 Latin beats, electronic, pop and rock; there’s a real mix of genres played along the Paseo Maritimo. 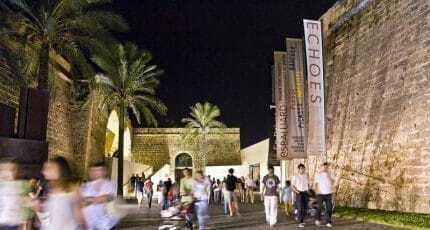 At the very western end, El Garito, located by Ca’n Barbara marina, is the place to go for dance and electronic music. For live music and great cover bands, Irish bar, Shamrock, always attracts an enthusiastic crowd and stays open till 5am. Most bars are free to enter, so you can come and go, trialing each venue. Stylish and trendy with stunning views of the Cathedral, Mar de Nudos offers the best Asian and Mediterranean cuisine. Combining tranquil views of the port and mouth-watering seafood dishes, El Pesquero is a sound recommendation for lunch or dinner. C’an Eduardo is also located on the seafront with views of the Cathedral and is known for its delicious paellas and ‘fideuàs’. Ikatza is the restaurant at the 5-star Hotel Gran Meliá Victoria, delighting visitors with modern Basque cuisine and sweeping views of the bay. 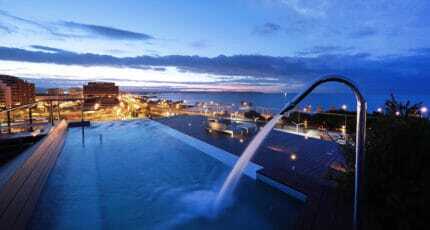 There’s a choice of big hotels, such as the 5-star Gran Melia Victoria or the 4-star Hotel Costa Azul; or you could treat yourself to a luxurious stay at one of the intimate boutique hotels, such as the Calatrava Boutique Hotel or the 5-star Leading Hotels of the World, Es Princep. At the end of April, you can expect a buzz at the port for Palma’s Superyacht Show. During the summer months, Parc de la Mar hosts open-air cinema, as well as many fairs and festivals during the year. 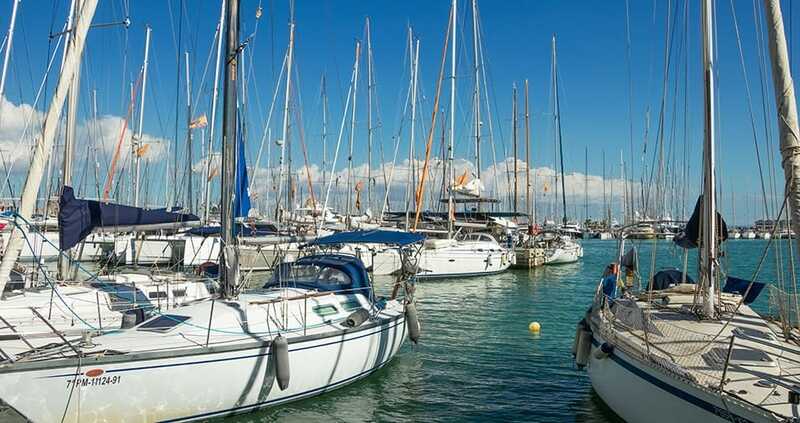 From April 27th until May 1st, Mallorca’s traditional boat show will take place at Palma’s old pier. The driving force of the event is the Superyacht Show. […] Don’t miss Palma Superyacht Show! A desirable location indeed; close to the action, but benefiting from the sense of peace sea views afford. Apartments, rather than houses, are what you’ll find in this area. Luxury penthouses are available with rooftop terraces and private pools. Obviously, the nearer you are to the seafront the pricier the property. 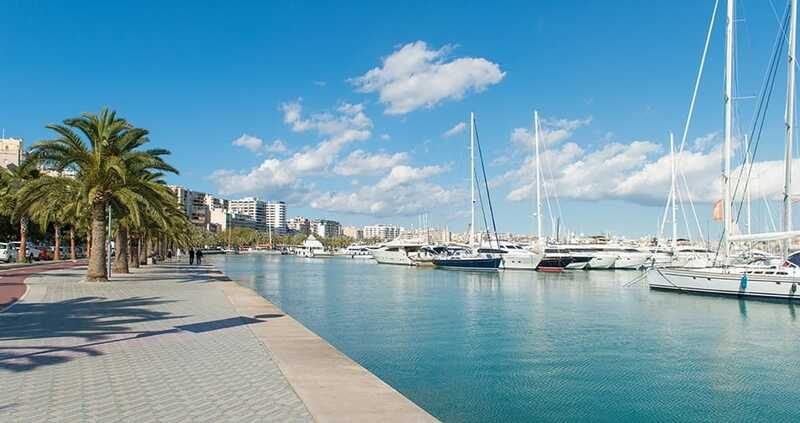 In the busy summer months, being able to walk along the Paseo Maritimo will comes as a welcome relief. The walkways and parks are suitable for children, and there are restaurants and cafés open all year round. 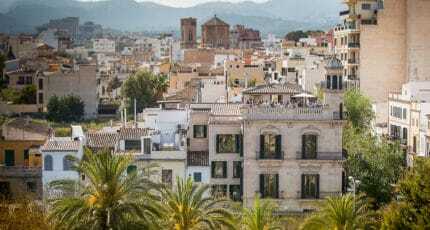 If you are looking for advice in order to buy, sell or rent a property in this or any other area of Mallorca, please don’t hesitate to have a look at our selection of reliable and professional real estate agents on the island. 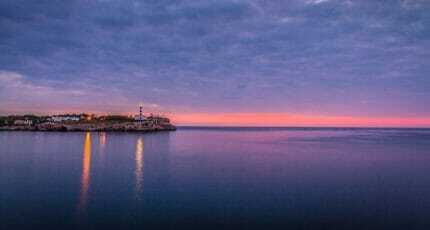 We hope you found this article about Paseo Maritimo useful and that you discover new and amazing places as a result of our recommendations. 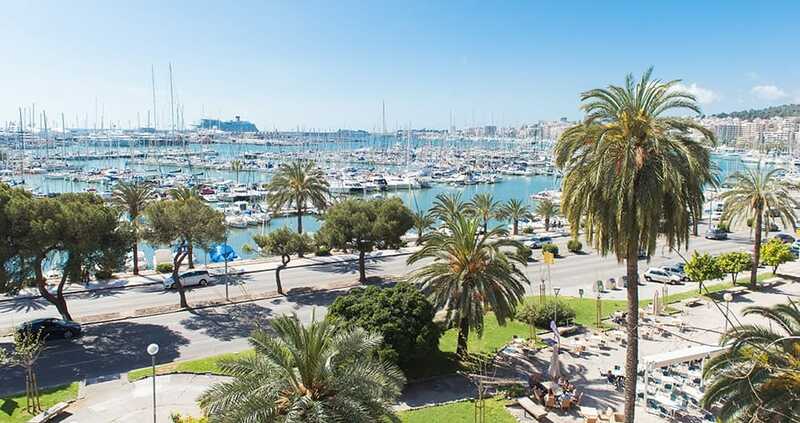 We hope you have found this article about the Palma’s Paseo Maritimo useful and that you have many memorable stays in Mallorca as a result of our recommendations.